Happy Thursday! Today is opening night for my musical, and I'm so excited for this week to be over! I love being in musicals and really love playing my saxophone, but the final week of dress rehearsals and shows is so stressful and exhausting! I'll be happy when it's all over, but then immediately miss playing again. I need to find a group I can play with year-round. Today I'm linking up with Amanda for another Thinking Out Loud Thursday. I want to talk about some of my current favorite shows! As you'll see, I'm really into reality competitions. I'm not one for most reality shows, but competitions are my absolute favorite- especially cooking ones! This is a great time for me, because my favorite shows are pretty much just starting. I also threw in one of my favorite scripted shows. Hopefully some of you also like these shows and we can chat about them! First up is a show that just came back for its 20th season this week- Dancing with the Stars. This is one of my all-time favorite competitions, and I've been watching for years! It's been really interesting lately, and they've featured some really popular stars. This year is a great mix of celebrities- from an Iraq war veteran to an Olympic gymnast, as well as the legend Patti LaBelle! I have a few favorites right from the start. My first is Nastia Liukin and Derek Hough. Does anyone else notice that Derek is always paired with someone who's already naturally talented? The worst that he's ever placed was 6th (and that was in his second season) and he's won 5 times already! I wasn't surprised at all when they paired Nastia with Derek, and I'm sure they'll make it to the finals, unless something unexpected happens. Their first performance was great and shows that she's extremely graceful and talented, but bends backwards way too much! My next favorite is Michael Sam, paired with my favorite female dancer, Peta Murgatroyd. He seems like such a nice guy, and his dance was amazing! He obviously has some dancing skill, and he reminds me a bit of Alfonso from last season. Can't wait to see him progress throughout the season! Next up is American Idol! The season is in full swing, and it's already down to the top 11. This is the first season that I've watched from the first episode, so I've been loving it! There are a lot of really talented singers this year that I'm loving, and some that I'm hoping go home SOON! 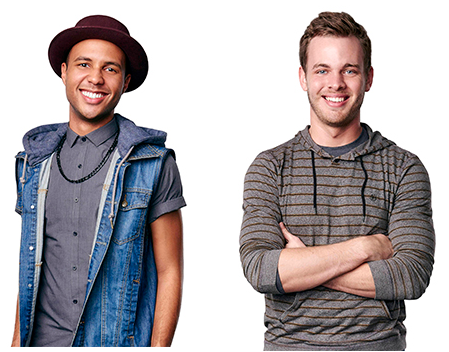 For the guys, my favorites are Rayvon Owens and Clark Beckham. Rayvon is ridiculously talented and I fell in love with his voice in Hollywood Week (listen to his group performance with old classmates here), but so far I haven't been blown away in his live performances. I hope he'll pick songs that fit his voice better so he can stay around for a while! Clark is also incredibly talented, and I think he's the front runner at this point, especially for the guys. The judges and producers seem to be pushing for him! 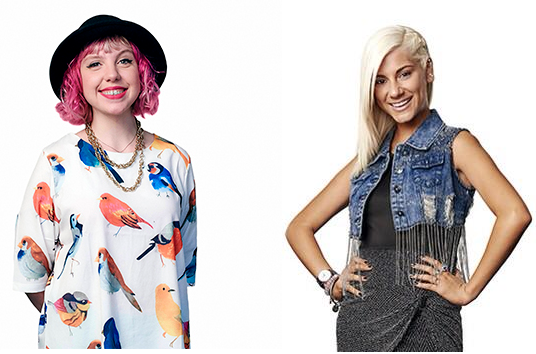 The girls aren't quite as exciting for me, but I like the two most interesting singers- Jax and Joey Cook. My favorite part of these types of shows is listening to new and interesting versions of popular songs, and these girls hit it out of the park every week (even if the judges don't always agree with me!) I hope they both stay around for a while, because I want to hear their takes on all the fun themes the show throws at the contestants! A few others that I'm enjoying are Quentin Alexander and Tyanna Jones. Quentin is such an original and gets so emotional about the whole competition. You can see how much he wants it! Tyanna is really young, but is incredibly talented. She's also one that I think the producers and judges are pushing, so I think we'll see her in the end. Finally, I'm loving the show Scandal! It's been an intense season to put it mildly, but I'll wait to share my thoughts till the season finale. I have no idea how this season will end, and I can't wait to find out! Any thoughts on DWTS or American Idol? Who do you love and hate? I have yet to watch the premier episode of this season of DWTS. I have it DVR'd but haven't watched it yet. I need to get on that. I've never watched Americon Idol. Right now we're in the midst of The Voice, which I love! I love the voice too! I can't seem to get into it until the knockouts start for some reason..the auditions and battle rounds just seem to drag on forever and there's so many singers! I have never watched Dancing With The Stars before, but I think I may tune in this year because I was a gymnast growing up. I am definitely fangirlling over Nastia! Agh, a fellow Scandal lover! I am all for Mellie being the next president! What about you? I think she'll do great as president! The entire series she's wanted to do more and kept getting pushed back. I like her character a lot even if she frustrates me at times. I'm a Scandal fan too and I have to agree with ya'll! Mellie for president. I love the Voice too. Its what I watch on the treadmill. After the finale we all gotta talk! I'm excited to see what'll happen. I also love watching singing competitions while on the tread..during their song I'll jack up the speed for a little extra fartlek! Love it! I haven't watched much of this season's Scandal...I like that show. We've been hitting Netflix pretty hard. Pretty awesome!